The thought of "team building" often creates very diverse reactions from project team members. Many people enjoy the potential for increased camaraderie and getting to know more about their peers. Others have a very negative reaction, rolling their eyes and making statements like "oh no, we're going to hold hands and sing 'Kumbaya". The astute project manager can prevent such negative reactions by NOT holding team building sessions. Rather than a team building session, the effective project manager takes advantage of every opportunity the team gets together to develop team synergy - a "stealth" approach to team building. The problem with team building sessions, and their sometimes well deserved bad reputation, is the artificial scenarios that are created to try and bring team members closer together. These artificial scenarios often work temporarily, but is usually so far removed from the issues facing the average project team that any goodwill falls by the wayside when the real project issues "hit the fan." Effective team building comes when a project team is given the opportunity to understand each member's style, approaches and capabilities in the work scenarios the project team faces on a day-to-day basis. The project manager is the catalyst for bringing this synergy to the forefront with the project team by capitalising on team building opportunities in every day project management processes. Hint: Don't call it team building, as "your mileage may vary" when you label it that way. The kick-off meeting is the first and arguably the most important opportunity for team building. Many project managers who add specific team building activities (by name) to the agenda find many key stakeholders running for the hills when the time comes to execute those items. These opponents of team building may find or purposefully schedule meetings that overlap the team building portions of the kick-off. One way to combat this problem is to schedule a "problem solving session" as part of the kick-off meeting and have a facilitator manage that agenda item. The facilitator can present an issue to be resolved or a significant risk to be avoided, and then manage the meeting in such a way that each stakeholder gets to present their approach to solving the problem. This allows the team members to get to see, first hand, each others style, experiences and approaches. This knowledge - packaged as experience in solving real-world project problems - can be significant in helping a team to work together more effectively. For larger groups involved in programs or large projects, multiple risks can be presented, and the participants can be divided into groups that are likely to work together over the course of the program. Each group can then have a facilitator to take the team through the same type of exercise described above. Another straightforward way to realise team building without holding a team-building session is to collect as a project team and discuss communication norms. Each individual on the team is likely to have slightly (or radically!) different communication habits. Some will check email frequently while checking voicemail only once a day. Some will do just the opposite. Others still will have a very different approach, going to great pains to make face-to-face contact to avoid voicemail and email altogether. With all of these differences, how does a team effectively communicate? Not only is the application of session norms such as these effective, but the derivation of those norms can shed valuable light on the habits of team members, which contributes directly to building an effective team. This approach works especially well with executive-level team members and sponsors. It is important that you give them the opportunity to express how they may best be reached, and allow them to drive the expected response time when a answer or decision from them is required. Project managers can gain significant efficiencies when decision-making processes - especially with senior leaders - are discussed and documented early in the project lifecycle. 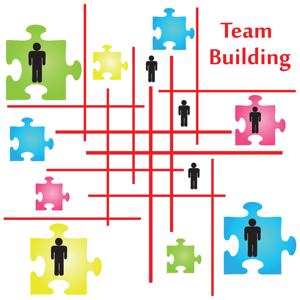 Similar team-building benefits are gained as discussed above in the derivation of communication norms. The additional knowledge gained as stakeholders express their desired decision making approaches can lead to significant leaps in building an effective and efficient project team. The senior leaders' approach to sharing problem and resolution information with others (i.e. their desire to be part of a discussion to examine options for solving an issue or reviewing a solution that you have selected from a myriad of options) can give a team significant insight as to the methods and expectations of sponsors and other key stakeholders. What better knowledge to have to make a team effective and efficient? Effective project teams not only work well amongst themselves, but they have a positive and interactive relationship with the customer communities they serve. Including critical customer personnel in the communication and decision making meetings discussed above will enhance the project team's ability to respond to customer needs, and give them insights to the customer's issues that the project teams' deliverables can relieve. In addition to this, including interactive meetings as part of the requirements gathering, prioritisation and validation processes can be extraordinarily valuable. Confirming understanding and prioritising requirements through such processes as a "pair-wise comparison" approach can solidify a team. In addition, it can provide significant understanding of the business issues driving the requirements. So, rather than just engaging in an exchange of requirements documents, make the requirements collection process more interactive. 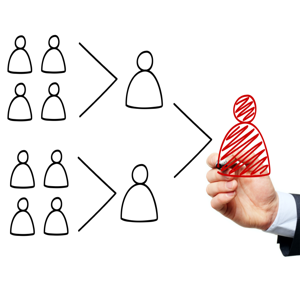 You will get better requirements and develop a much more cohesive project team. The term "project review" doesn't exactly conjure up thoughts of team building, but it can be a significant process for building team cohesiveness. The trick is how the goals and objectives of the informal project review are presented, and the assignment that is given to the reviewers. A project review, if set up and conducted properly, can energise a team because the review can produce more sound solutions for the customer, and many times provides suggestions for increased efficiencies among the project team. The key is to set up the informal review so as not to create an adversarial situation between team members. One way to do this is to give the reviewers and the reviewees the same objective - they will both be recognised if and only if improvements are found and presented in an achievable fashion (the role of the reviewer) and if those improvement ideas are subsequently incorporated into the project processes and/or deliverables (the role of the reviewee). With both groups directed towards the same objective, the project review can take on a new tone, and not only improve the team, but improve team synergy, as well, through shared knowledge and insights. So remember, the best way to execute "team building" is to eliminate the ropes and the singing and leverage the processes we are all accustomed to as project managers. Bob McGannon is a Founder and Principal of MINDAVATION, a company providing project management training and consulting, leadership workshops and team building programs throughout North America and Europe. Question: Enter the word hand backwards. A dilemma: should you appoint someone who is an experienced project manager or someone who will champion the change? 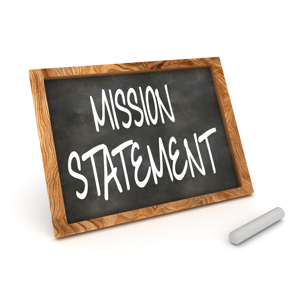 What Is the Mission of Your Project? The stakeholders in a project can have lots of different goals, but a software project is more than just the sum of its parts. Soft power is the ability to get people to work with you by attracting them to be part of what you stand for; rather than to coerce, force or pay them. 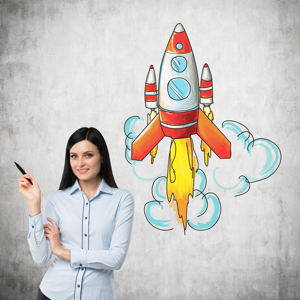 Avoiding the common pitfalls of IT project management is not rocket science; it is simply a case of taking some sensible measures.